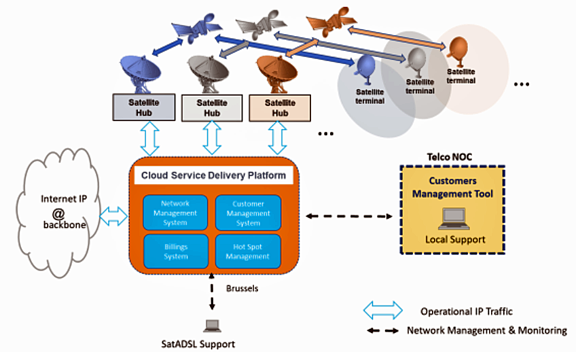 SatADSL, a provider of professional VSAT services via satellite, has now made available the industry’s first multi-hubs Cloud-based Delivery Platform (C-SDP), with C-, Ku- and Ka-band capability. The service provider has also revealed plans to launch new Ka-band services in South Africa and Zimbabwe during the first quarter of 2018 to complement their current Ku- and C-band services. These will be extended to the rest of the African continent in the middle of 2018. Through SatADSL’s C-SDP, a complete OSS/BSS, carrier-grade, fully redundant platform, telcos and service providers can, for the first time, offer, via the cloud, satellite services over any frequency band. The platform includes a network management system that allows IP traffic to be shaped and routed from and to different hubs, while the built-in customer management tool allows Telcos and Service Providers to manage and monitor their own customers. A hotspot management system allows for remote hotspot networks be configured, managed and monitored and a Billing System enables online payments and automatic billing. Among the latest technologies is that SatADSL’s C-SDP can connect to the latest release of the HTS-optimized Newtec Dialog® multiservice platform. This will enable the launch of SatADSL’s innovative Ka-band services in South Africa and Zimbabwe next year. Caroline De Vos, Chief Operations Officer and Founder of SatADSL, stated that while it is predominantly aimed at service providers, the company also plans to allow other operators to access the C-SDP, giving them the ability to control multiple technologies on different satellites, all from one single management tool. 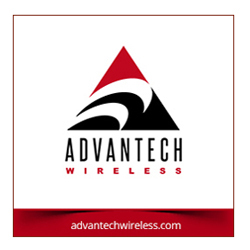 The company also s evolve the platform further as the satellite landscape continues to change and develop. Jo De Loor, Market Director for HTS and Enterprise at Newtec, added that as a manufacturer of innovative satellite hub systems, Newtec believes that SatADSL, including its OSS/BSS platform, delivers a very good complement to the firm's product offering. The C-SDP and the capabilities it brings to telcos and service providers is a natural fit for Newtec Dialog customers, enabling them to extend their market reach. SatADSL will showcase the advantages its C-SDP can bring to Telcos and Service Providers, along with its other connectivity offerings, at stand D71 at AfricaCom 2017, which takes place at CTICC in Cape Town from Tuesday, November 7, to Thursday, November 9.